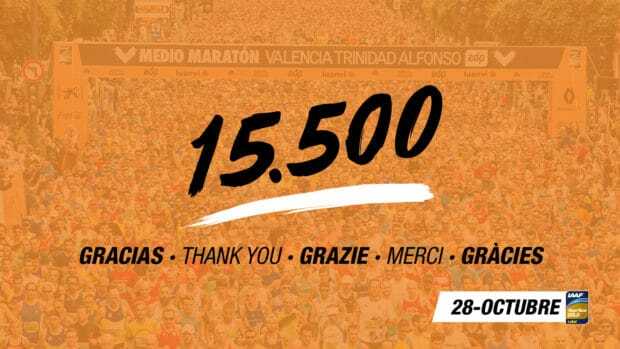 The Valencia-Trinidad Alfonso EDP Half-Marathon keeps on breaking records. The race has set a new record for the number of runners taking part. The 2018 Half-Marathon will have 15, 500 runners on the 28th of October, beating the figure of 14,290 for 2017. The high turn-out and ‘customer loyalty’ of Spanish runners together with strong growth in foreign entries lies behind the new record. This led to SD Correcaminos’ (running club) earlier announcement that it was putting the last batch of bibs up for sale for 2018 entries. These have now run out, bringing the final figure to 15,500 entries. The 15,500 athletes now entered for the Half-Marathon will run a new course. 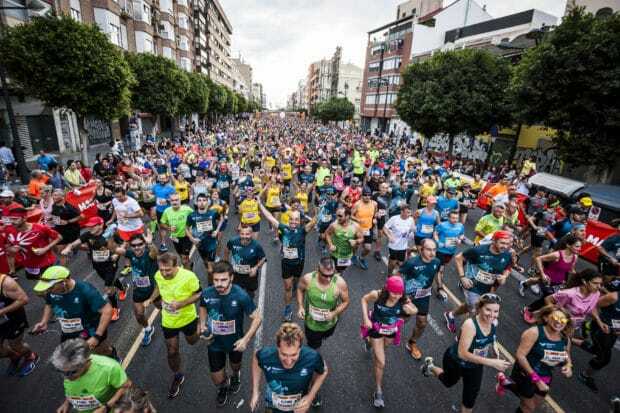 The organisers of Spain’s first half-marathon to gain the IAAF Gold Label earlier announced that it would make a last batch of 500 bibs available — all of which have now gone. 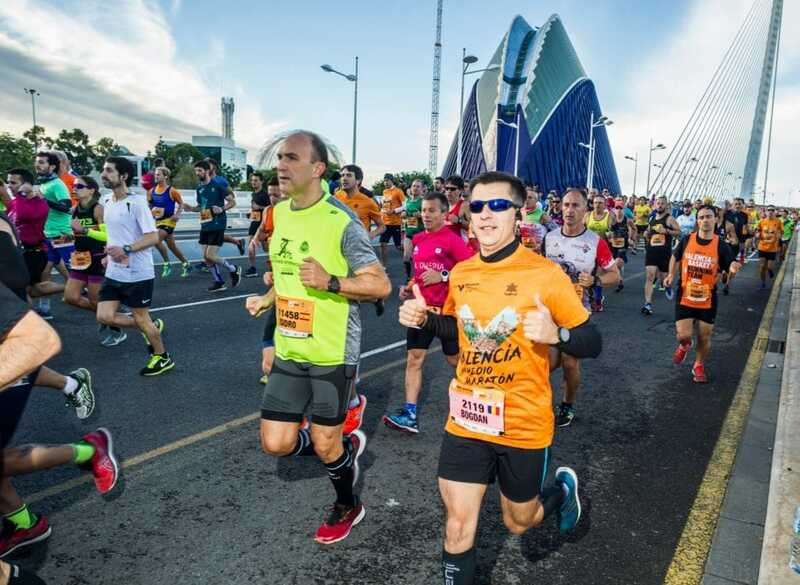 The figure of 15,500 entries for the race on the 28th of October is optimal for ensuring both the safety and customer care of runners and the quality of services — all key features of the trials held by Valencia ‘The Running City’. 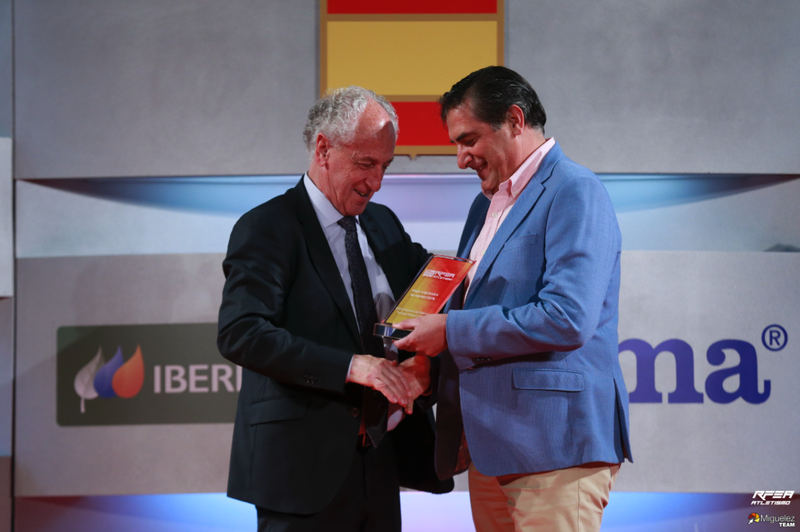 Paco Borao, President of SD Correcaminos (running club) and who was recently re-appointed as top representative of AIMS, noted that “The Marathon and Half-Marathon have set new records for the number of entries for the two events, building on the trend seen over the last few years. This means that we must pay even greater attention to safety. Thousands of runners place their trust in us each year hence our concern to ensure their safety and to provide them with quality services throughout the event”. With regard to future trials, the organisers, together with the forces of law and order and local authorities, will control the annual rise in runner numbers to ensure that safety and quality criteria are fully met in every aspect of the Valencia Marathon and Half-Marathon trials. Changes will be made where necessary to ensure that growth in runner numbers is sustainable. The organisers thank runners for the trust they place in the trials held by Valencia, ‘The Running City’.